An authentic safari experience at great value. Featuring pared-back style with thoughtful details that ensure you have all you need for a comfortable stay. Enhanced by the incredible beauty of the East African landscape, our Reserve camps exude character and meticulous attention to detail. By Britta Foulis – Content Marketing Manager This secluded area of the eastern Serengeti is a haven for big cats, and especially cheetah. For 20 years, the grasslands surrounding Namiri Plains were closed off to people and tourism, this was done to encourage and support the growth of declining cheetah populations. This decisive action led to the plains now being known as a haven for cheetah. 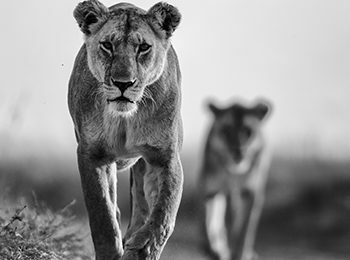 These fast felines roam the plains freely and are thriving. 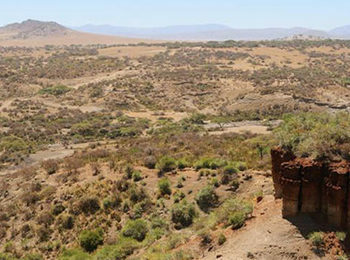 By Britta Foulis – Content Marketing Manager Relics of Namiri Plains Later this year, Namiri Plains will be relaunching. 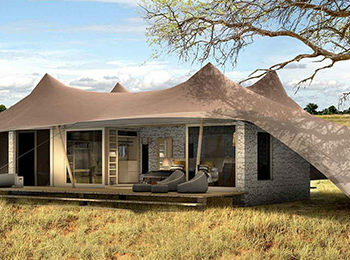 The brand new camp is situated in the semi-arid and remote eastern Serengeti, set along the Ngare Nanyuki River – an area that offers an uncrowded experience. 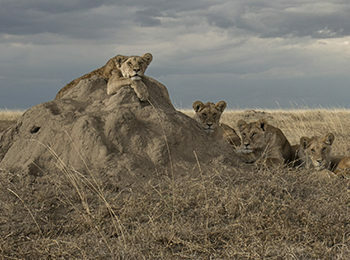 By Britta Foulis – Content Marketing Manager The Serengeti and its ecosystem owe much of their characteristics to Ol Doinyo Lengai, (“Mountain of God” in the Maasai language) an active volcano that lies to the southeast. What makes Ol Doinyo Lengai so unique is that, unlike other volcanoes, it ejects carbonatite ashes, which turn white when exposed to the atmosphere. Prevailing winds deposit these ashes on the plains of the eastern and southern Serengeti. 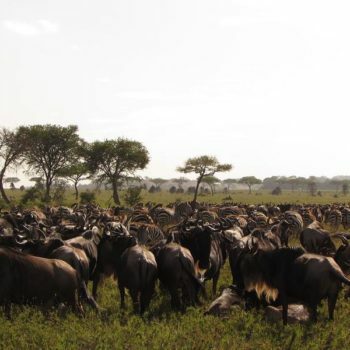 Update from Serengeti Nomad A large herd of wildebeest and zebra were captured in the Central Serengeti heading towards the Makoma Hills and Magadi. 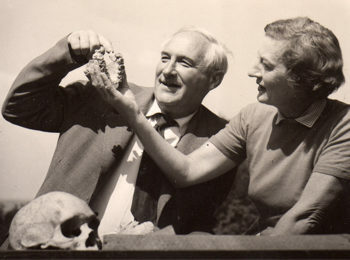 By Britta Foulis – Content Marketing Manager Olduvai Gorge is one of the most important fossil sites in the world. Because of this, it forms part of a World Heritage Site and continues to reveal an immense amount of information regarding our past, insights into our hominin ancestors, and a way to understand how many of these species used to live. Asilia’s highly successful environmental programme for children is now at Matemwe, Zanzibar “Twende Porini” – Let’s go to the bush, Asilia’s environmental project has been around since 2015. Groups of children from local communities in the areas surrounding our camps in Kenya and Tanzania are hosted at one of our chosen camps for four to five days. 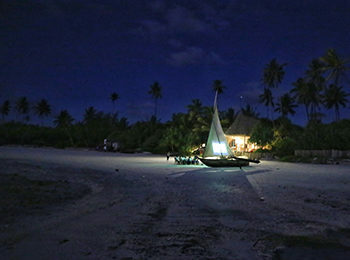 During the stay, they learn about wildlife and the importance of protecting animals as well as preserving our areas. By Britta Foulis – Content Marketing Manager The 20th of March is celebrated as the International Day of Happiness. The theme for this year is “Happier Together” and focuses on what we all have in common instead of looking to things that divide us. In saying this, we’ve decided to share some images with you that have brought a smile to our faces and have reinforced something we’ve known all along – a safari with Asilia is guaranteed to bring you happiness and joy! Update from Alex Walker’s Serian Scores of wildebeest are still pouring through Ndutu, where calves are being born in great numbers. 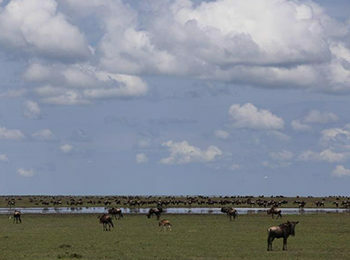 While the rains are continuing, the Ngorongoro Plains offer life-giving water before the wildebeest eventually move on. By Britta Foulis – Content Marketing Manager Namiri Plains is relaunching later this year. 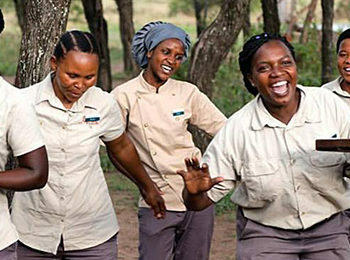 We’ve made some special changes to the accommodation but, of course, retained the same fantastic safari experience, excellent staff, and exceptional guiding that Namiri Plains is known for. 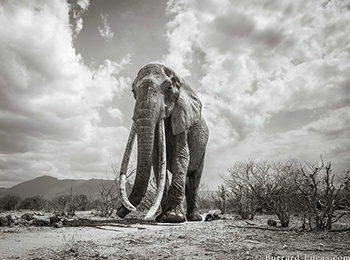 Having lived for more than 60 years, in a peaceful and quiet corner of Tsavo in Kenya, she was an extraordinary and rare sight to see, British photographer Will Burrard-Lucas captured the last photos of the legendary “Elephant Queen”.